For the past few weeks I have been gushing to everyone and anyone I know about how excited I was about the Royal Wedding. If you know anything about me, I have a few things in common with the Royal Couple that made even more exciting for me to watch and to be a part of. For starters Meghan and I share a birthday month but even more than that I got engaged in August in Scotland (where the Royals Summer) a few days ahead of Harry and Meghan and will be getting married this August only 3 months after. 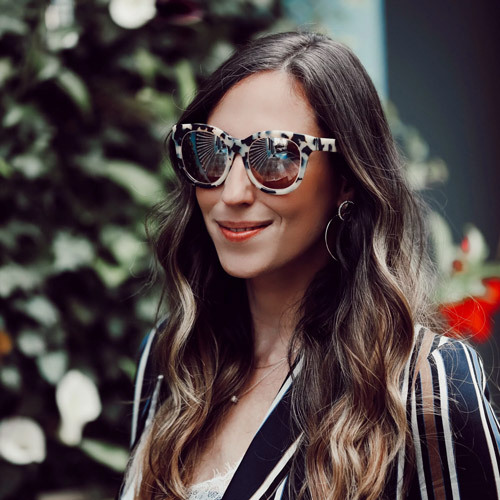 As any bride can tell you, we pay attention to details so you can bet I have been watching every move from the engagement shoot all the way through the wedding predictions & have been completely enamored with all the details. 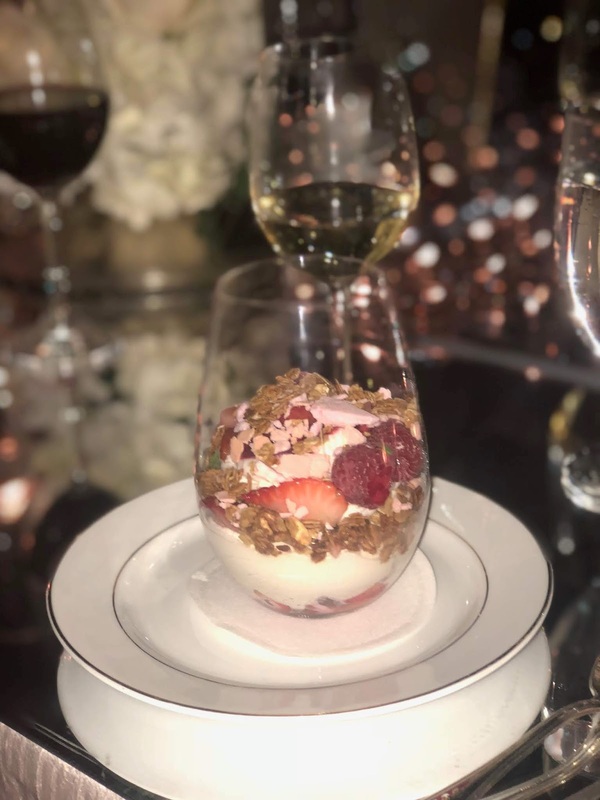 So, you can imagine how excited I was when I was invited to celebrate they Royal Wedding at the Plaza Hotel with WeddingWire (my planning tool since day 1) and Love Stories TV. My evening started off with the "Royal Glam", think hair, makeup, tiaras and jewels- just a few of this gals favorite things. 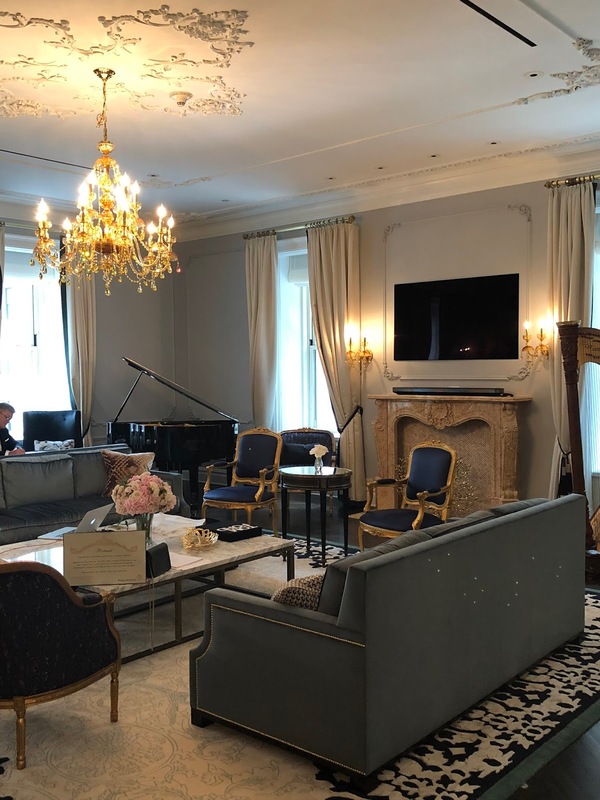 I entered the Plaza's Royal Suite and was immediately greeted with a glass of Krug's Champagne as I set off to explore. I decided to go for hair first followed by makeup so I would be ready for the rest of the evening. 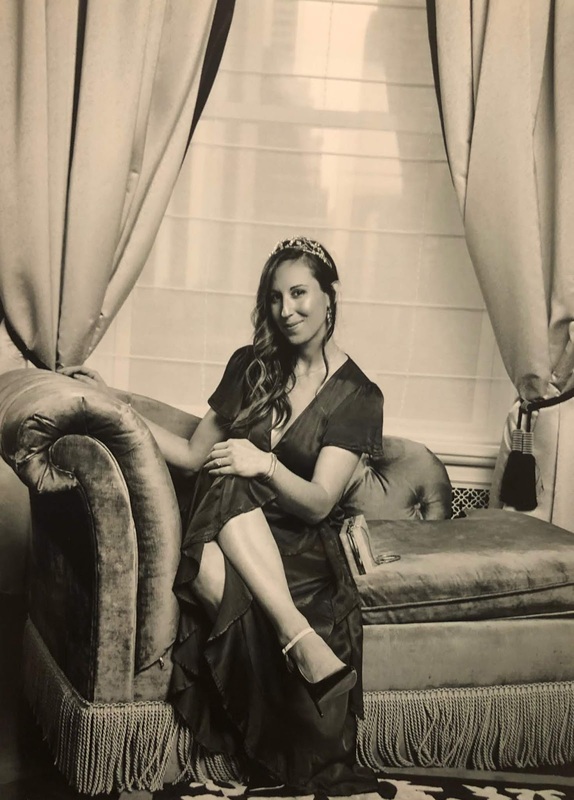 Eric Sebbag from Warren Tricomi at the Plaza took the reigns on my hair and added some loose curls then twisted one side to the back letting the rest of my hair fall to one side and totally nailed the royal look. Following hair I got a small makeup touch up with some extra highlighter and bronze eyeshadow to bring out my eyes. Before heading off to pick out my tiara for my photos I sidetracked to the Birchbox table to make my own box mixed with a few of Meghan's favorite products. I filled my box with Oribe Dry Texturizing Spray, Derma-E Hydrating mist (use this with a Jade roller), Oribe Cote d'Azur, Amika un.done volume & matte Texture Spray & Eyeko Skinny Liquid Liner (which also happens to be one of my favorites). Now that I was all stocked up on my "Meghan approved" beauty products and my hair and makeup were Royally approved it was time to choose a tiara for my portrait. 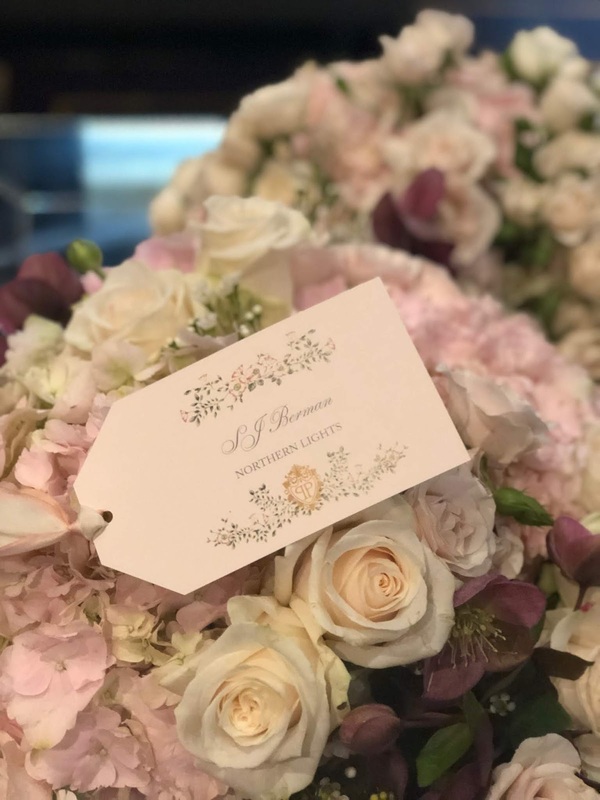 With so many gorgeous choices from Kleinfelds it was hard to choose, I can just imagine how long it took Meghan to pick the perfect one for her ceremony. I finally narrowed it down to my favorite one after trying on many and took my "Royal photo" in the Royal Suite. And of course, what is a Royal Fete without a few Corgis & some Gin! Even here in America we know what the Queen likes! The Royal Suite was filled with a few Corgis to set the mood, these are Queen's preferred breed of dog & within her reign she has owned more than 30 Corgis. 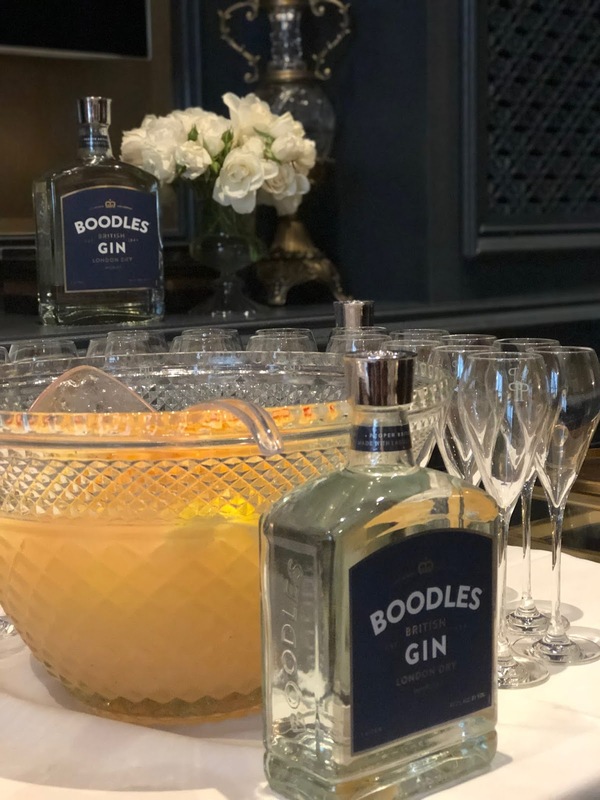 Something that I learned on my trip to Scotland is that the Queen is a fan of Gin- she actually likes it straight before lunch (a little fun fact). 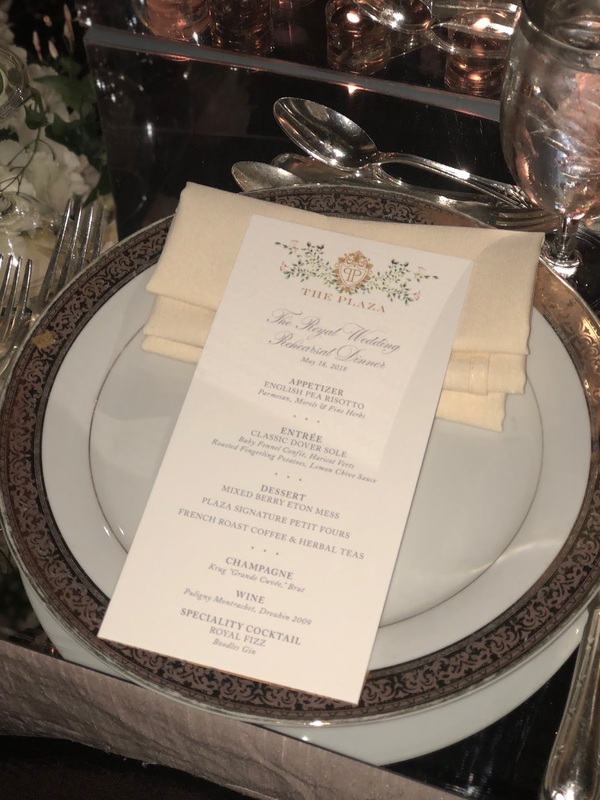 The Rehearsal Dinner was held in the Edwardian Room at the Plaza Hotel, I was seated at the Northern Lights table, some of the other tables included the Frogmore House (where Meghan and Harry had their Dinner party) and Windsor Castle. 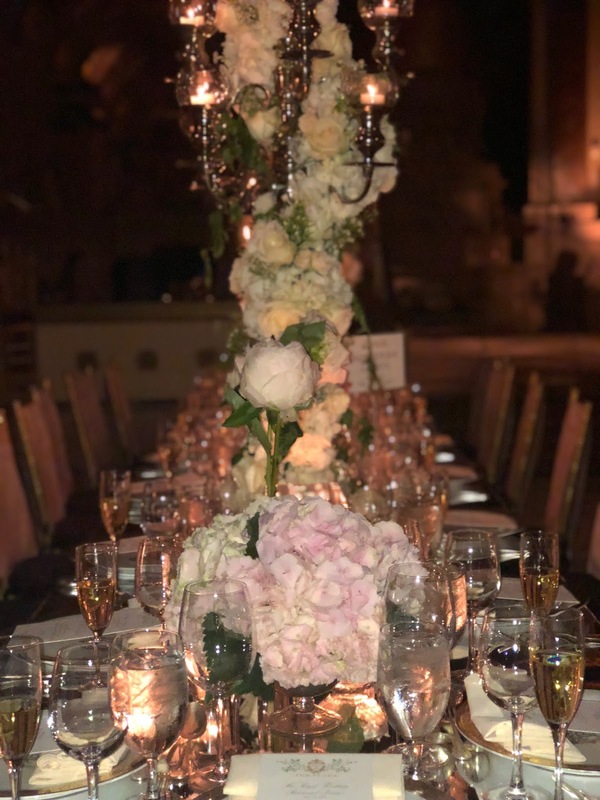 The absolutely stunning floral & event design were produced by Fete NY - Jung Lee designed the centerpieces including White Roses for Princess Diana and Peonies for Meghan Markle & even gave a toast to the royal couple during the evening. The three course menu included items typical to British tradition and I must say it was absolutely delicious. 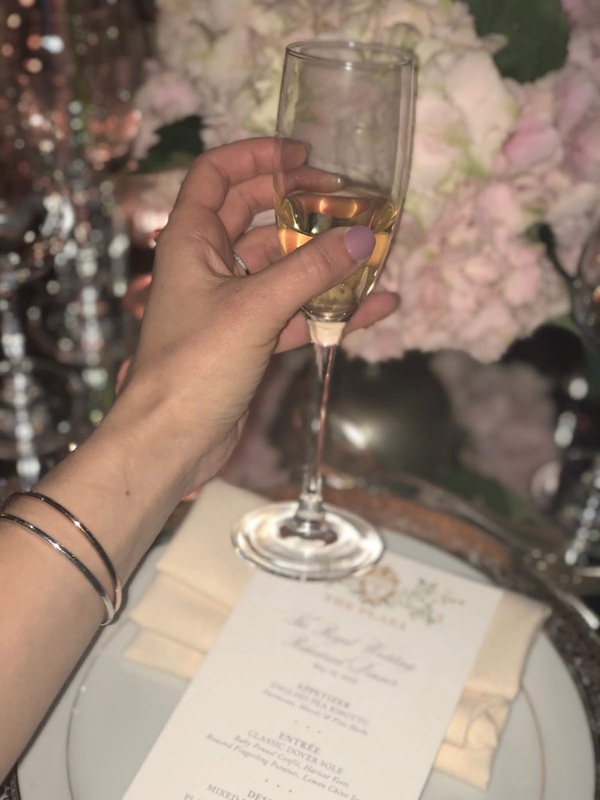 As the evening came to an end we were all reminded of what was to come in only a short few hours and the Rehearsal Dinner was the perfect event to honor the Royal Couple right before their wedding. Now, onto my wedding- this gorgeous night absolutely set the stage and made me even more excited for what is to come for my wedding. If you are planning a wedding you know it is no small task and we all know Meghan had a team behind her helping her with every decision. 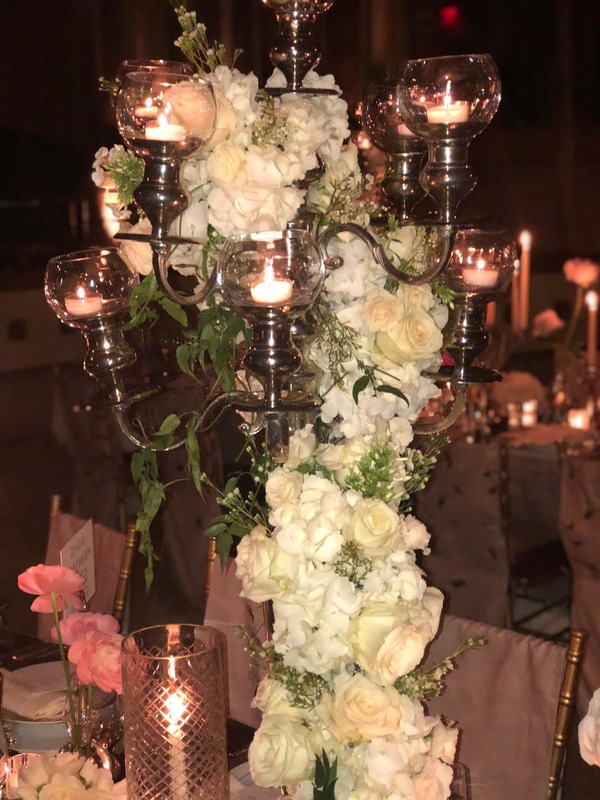 My team is WeddingWire, it helped me narrow down my choice for location, preview wedding design inspo, contact bands and more and I honestly could not have put it all together without them. A special thank you to WeddingWire for sponsoring this post & for helping me plan my wedding, for more about WeddingWire check out my previous posts seen here & here.